CALGARY — The stage has been set for the 106th Grey Cup presented by Shaw, as the Calgary Stampeders and Ottawa REDBLACKS match up for the second time in the championship game in three years. There are plenty of storylines entering Sunday’s game, from Trevor Harris‘ first Grey Cup start to the Stampeders’ attempt at redemption following back-to-back years of heartbreak. How do we break down Sunday’s matchup? It’s been nearly four and a half months since the last meeting between these cross-division rivals, with the Stampeders sweeping the home-and-home in Weeks 3 and 5. Much has changed since then, however. For one, Harris has played his best football of late, coming off a playoff record six touchdowns in a blowout of the Hamilton Tiger-Cats. On the other side, the Stamps have struggled with injuries at receiver, but are back in the Grey Cup on the shoulders of a dominant defence and a three-touchdown game from Eric Rogers. The Stampeders open as a slight favourite going into the Grey Cup, but what can swing the pendulum? CFL.ca breaks down some of the key storylines — some obvious, some less obvious — heading into the championship game. 1. 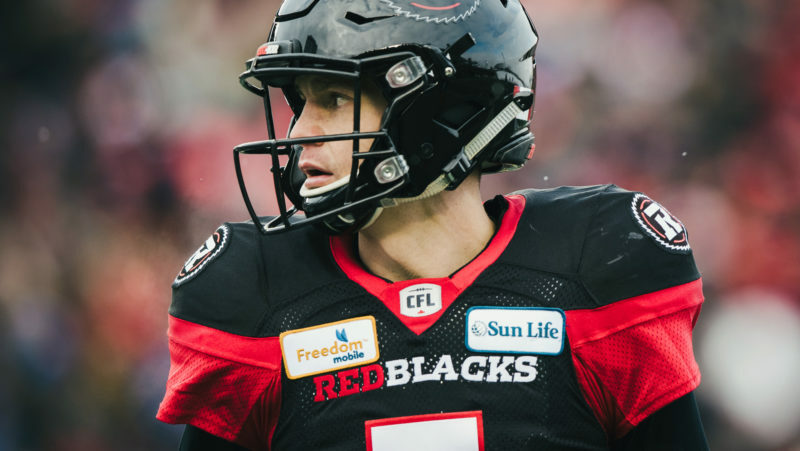 Can Trevor Harris finally solve the Stamps? There was one team Trevor Harris just couldn’t seem to figure out this season. The Calgary Stampeders had Harris’ number, sweeping the season series while holding the REDBLACKS to just 423 net yards in the span of two losses. Harris was chased from both games, struggling to an average of 4.5 yards per attempt while completing just 52.9 per cent of his throws. He failed to throw a touchdown pass and threw three interceptions. Plenty of time has passed, and Harris has become the league’s best statistical quarterback over the final third of the season. He hasn’t thrown an interception since Oct. 13, entering Sunday’s championship with 94 consecutive passes without turning the ball over. Over his last seven starts, Harris has thrown 17 touchdowns and just two interceptions, averaging 9.9 yards per attempt and completing 78.6 per cent of his passes. The kind of numbers that usually belong to a Most Outstanding Player and Grey Cup Champion quarterback. The height of it all came on Sunday, when Harris set a CFL playoff record with six touchdown passes in a win over the Ticats. In that game, Harris also completed 29 of his 32 passing attempts for 367 yards, averaging a season-high 11.5 yards per attempt. Against a defence allowing a league-low 7.2 points and leading the CFL in takeaways (49) and sacks (45), the REDBLACKS have their work cut out. Can Harris finally solve the league’s most dominant defence? One thing the Stampeders can’t do on Sunday is allow Trevor Harris to get comfortable. We know Harris has the hot hand, and a big part of his success has been the REDBLACKS’ ability to keep him protected, eliminating turnovers and providing plenty of big-play opportunities. The REDBLACKS have been sacked 43 times this season, the second-most in the league better than only Montreal, but Harris has only been sacked twice over his last three starts. When he’s not pressured, Harris’ efficiency rate skyrockets, while the offence is better suited to move the chains and avoid turnovers. Turnovers will certainly be a big part of Sunday’s outcome. Ottawa has turned the ball over just nine times over the last eight games, possessing a plus-10 turnover ratio in that span. The Stamps, meanwhile, lead the CFL with 49 takeaways and a plus-13 ratio. It goes both ways, of course. The REDBLACKS have had no issue taking the ball away of late, coming off a three-interception game vs. the Ticats. However, they have struggled to get to the quarterback, failing to record a sack in four of their last five games, a span over which they’ve tallied just two quarterback take downs. Whether Ottawa can get some pressure on Stamps quarterback Bo Levi Mitchell is up in the air, but in two regular season contests it just didn’t happen. 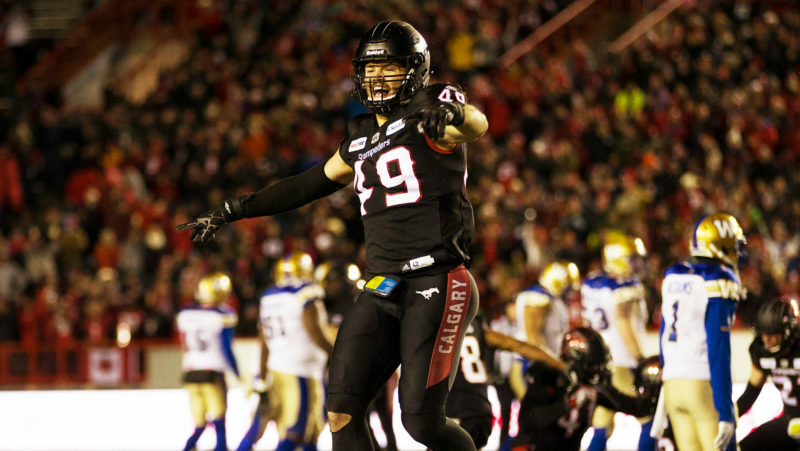 The Stampeders held a 7-1 edge in sacks and a 10-3 gap in takeaways when the two clubs met, led by a three-sack game by Micah Johnson. That brings us back to the red-hot Trevor Harris. Of Calgary’s league-leading 45 sacks this season, a staggering 39 have come from the defensive linemen. If the Stamps can generate pressure on Harris with their front four, the REDBLACKS will have a much different night offensively than they’re used to. 3. 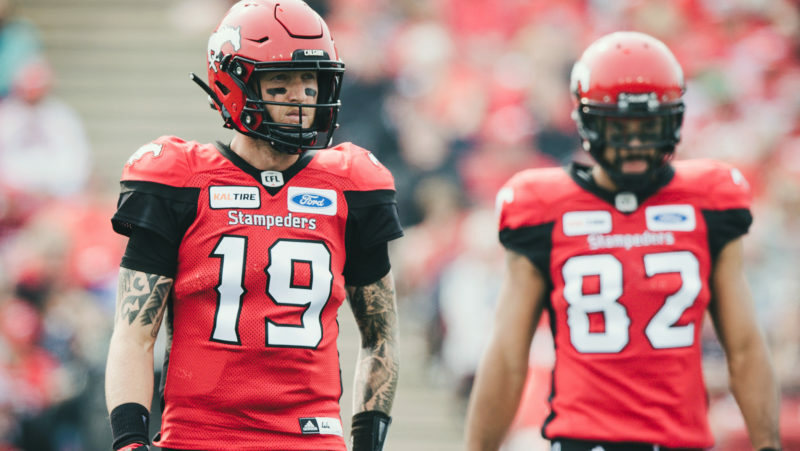 Can the Stamps find their mojo? The Headline: Let’s get vertical! The Calgary Stampeders had the most vertical offence in the league this year, topping all clubs with 44 completions of 30-plus yards from scrimmage. That’s the trademark of a Bo Levi Mitchell offence, especially with Mitchell’s arm strength and accuracy down the field along with an impressive complement of receivers. As it turns out, injuries to the Stamps’ receiving corps have caught up this season. DaVaris Daniels, Marken Michel, Kamar Jorden and Reggie Begelton have all dealt with series injuries, and each one has had a clear negative effect on the offence. In the Stamps’ first nine games, before the season-ending injury to Jorden, the offence averaged 2.9 completions of 30-plus yards per game. The number dropped to 2.8 with Jorden’s injury, but it was Begelton’s injury that really changed the tune of the Stamps’ offence. Once operating without Jorden, Begelton or Daniels, the Stampeders dropped to 1.2 completions of 30-plus yards per game in six contests. Even with the addition of Chris Matthews and the emergence of Markeith Ambles, the Stamps have totaled seven plays of 30-plus yards in their last six games, including zero in the Western Final vs. the Bombers. But it hasn’t been for a lack of try, with Mitchell attacking deep on several of the team’s opening plays. Having Eric Rogers healthy and fit to play would help. After scoring three touchdowns in the Western Final, Rogers has eight in five career playoff games (including the 102nd Grey Cup) and is averaging 83 receiving yards per game over that span. Can the Stamps’ offence continue to build chemistry with the new receivers and begin to hit more down field? Doing so would certainly give them an edge on Sunday, as Matthews and Rogers can create mismatches with the REDBLACKS’ defensive backs and start hitting home runs again.